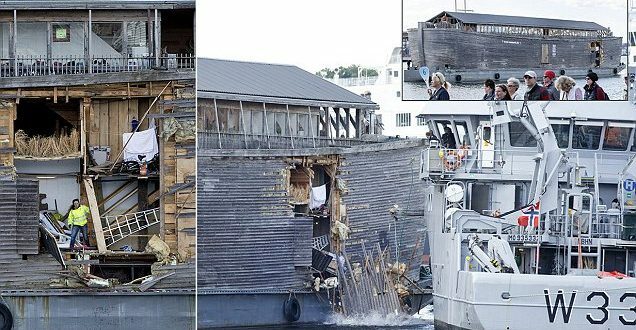 Media says the wooden replica, built by a Dutch carpenter Johan Huibers after he dreamed of a flood in his home town, was being towed into Oslo harbor when it somehow lost control and crashed into the moored patrol vessel Nornen. 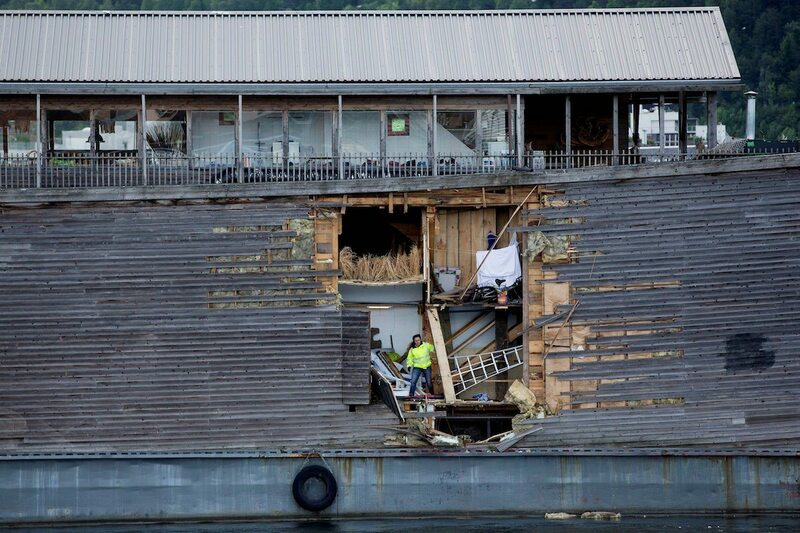 Watching the video its hard to tell exactly what happened, but photos posted by Norwegian media show a big hole in the side of the Ark’s wooden hull. The Ark is now owned by the Ark of Noah Foundation, which was planning on bringing the educational vessel across the Atlantic to Rio de Janeiro for the Olympic Games this summer.